Quentin Tarantino’s new film looks set to be one of the biggest films of the year. America in the 1960’s is arguably the most iconic time period of the last century. It seemed to have everything; from Dr Martin Luther King’s speech, music from The Beatles and The Rolling Stones, the assassination of JFK and… Charles Manson’s Helter Skelter reign of terror. It might seem a bit odd that I’ve added the last one in there, but bear with me because Vanity Fair have just released the exclusive new images of Quentin Tarantino’s latest film Once Upon A Time In Hollywood. Once Upon A Time In Hollywood is set in the 1960’s and follows the story of TV actor Rick Dalton and his stuntman Cliff Booth, as they look to turn their struggling careers into renowned movie stars… around the time Charles Manson and his ‘family’ were at their most notorious. Tarantino’s film has an incredible cast, including Leonardo DiCaprio, who plays Rick Dalton, Brad Pitt, who plays stuntman Cliff Booth, Margot Robbie as actress Sharon Tate and a whole host of big names making up the bill including Tim Roth, Damian Lewis, Dakota Fanning and Al Pacino. Take a look below at some of the new pictures released. Now, it might just be me but that last picture might already be the best picture of the year. Once Upon A Time In Hollywood looks set to be one of the biggest films of the year and amazing, this will be the first time Brad Pitt and Leonardo DiCaprio have worked together, which given their back catalogue of films is quite surprising. Both have worked with Tarantino before however, with Pitt teaming up with the director in Inglorious Basterds (2009) and DiCaprio stealing the show in Django Unchained (2012). Margot Robbie however, has worked with DiCaprio before in their huge 2013 hit, The Wolf Of Wall Street, when Robbie exploded onto the Hollywood circuit. We are all still waiting excitedly for the release of the trailer but hopefully this new set of pictures will do for now. 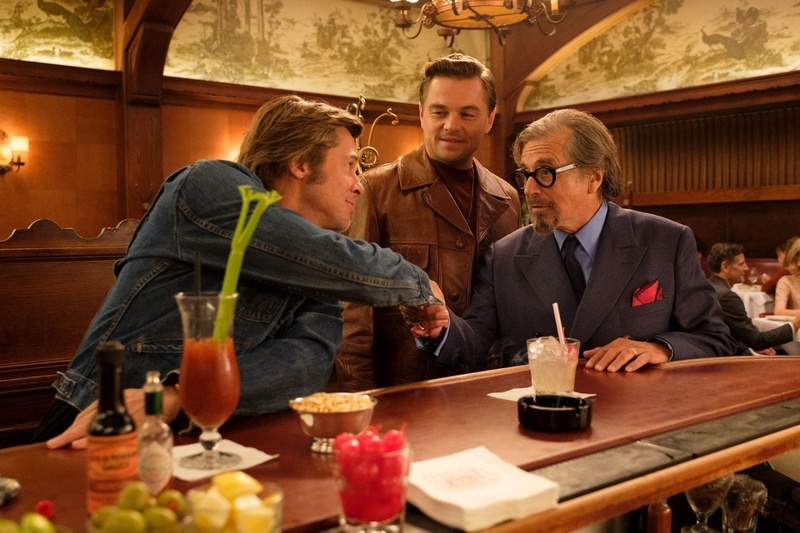 Once Upon A Time In Hollywood is set for release in July 2019.